We are pleased to announce a gorgeous litter of 10 Goldendoodles born January 6th. Based on their 56 pound Poodle mom and 53 pound Goldendoodle dad, we expect this litter of puppies to be 40-60 pounds full grown. We're thrilled with the variety of markings in this litter, giving each pup a unique look. They have wonderful personalities, love playing with each other and have been so much fun to raise. We believe they will make outstanding family members for a few fortunate forever homes. Kallie starts off this beautiful litter and she is as sweet as can be! She is our little princess, and she loves to be held and cuddled. She is very smart, super loyal, and loving. 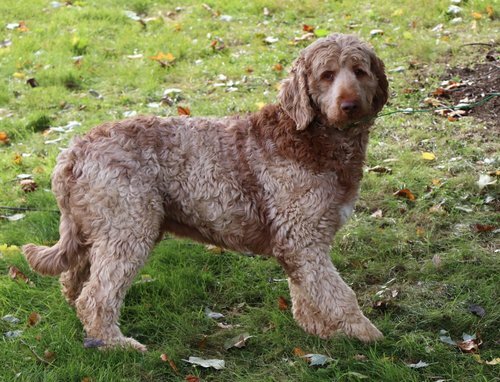 Kona is a pretty Goldendoodle with a gorgeous blend of apricot and white in her coat. She loves to play outside with her siblings, and she is gentle, loyal, and compassionate. We know that she will be a wonderful companion! Kira is a cute Goldendoodle with a wonderful personality. She is loving, cheerful and great around kids. Kira loves to snuggle up to us at nights, we will miss her sweet spirit! Kodak is a bouncy and happy male Goldendoodle. His tail has a big, wide wag and he likes to follow us around the yard. He gets lots of compliments for his handsome red and white fur! 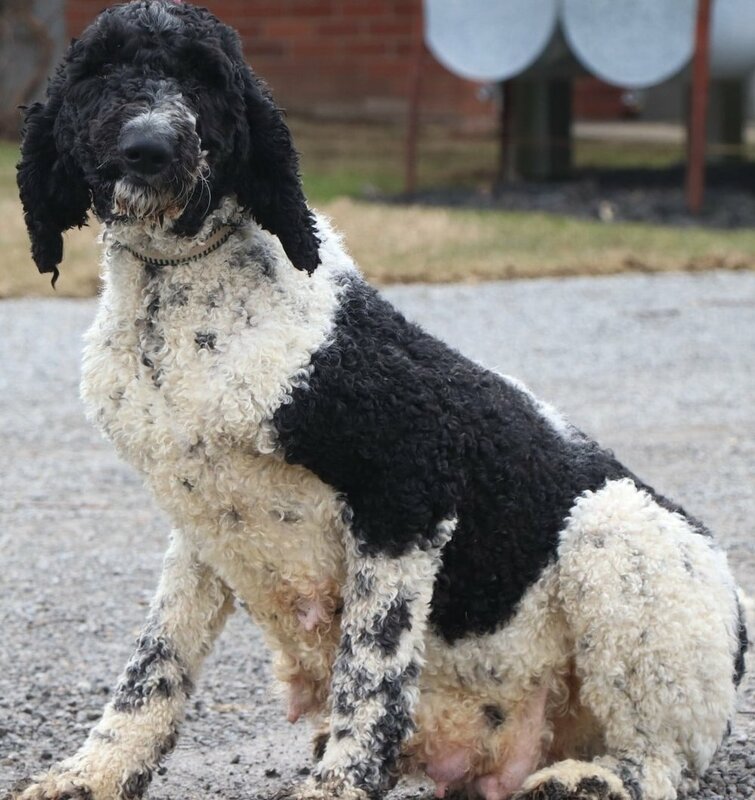 Kobe is a cute Goldendoodle with a beautiful black and white, parti-color coat. He is so much fun to be with, and he will be great with kids. Kobe is also gentle, very smart and we are confident that he will be a wonderful companion! King is an adorable male Goldendoodle with a gorgeous black and white coat. He loves to be with people, and he is extremely smart. We have loved raising King but are also very excited for him to meet his forever family! Kane is a sweet little guy that has a huge heart for people. He has a very handsome chocolate coat that we believe will only grow thicker with age. We know that he will make a lucky forever family very happy! Kent is a handsome Goldendoodle puppy with a super thick and curly chocolate coat. He is fun-loving and can regularly be found romping around with his siblings. Kent is super loving and very loyal, and we think that he will be wonderful for an any family or individual! Kilo is a gorgeous dark chocolate Goldendoodle with the kind of face you just can't say no to. He is so much fun to be around and always finds a way to make us smile! Kilo is super smart and very loving, and we know that he will be a wonderful furry family member! Kendrick is a cute red Goldendoodle with a handsome white bib. He is loving and very gentle. Kendrick, like his siblings, is very smart, and we know that he will be a great furry family member!